Start small and try a larger size every few days until it's ready for vibrators and more! A very unique sensation and experience. 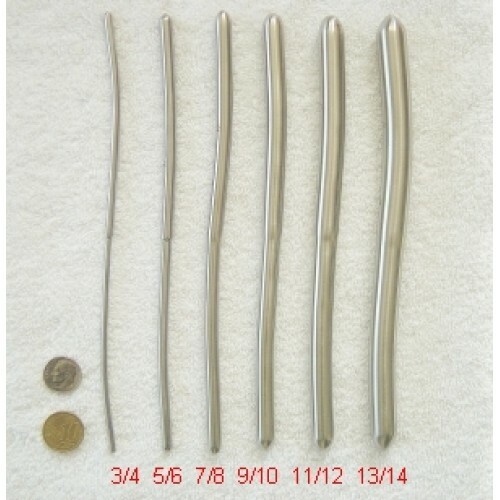 Top quality, brushed finish, medical grade solid stainless steel double ended sounds. These are not low cost hollow sounds. These are not chrome plated sounds, and they will not rust! These solid sounds hold their temperature much longer if heated or cooled. 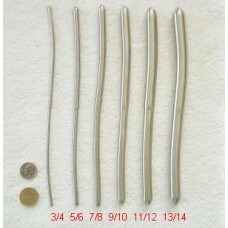 This 5/6 size is the second size up, measuring in at 5mm in diameter on one end and 6mm in diameter on the other. You get two sizes with one sound! All are 8 inches in length.